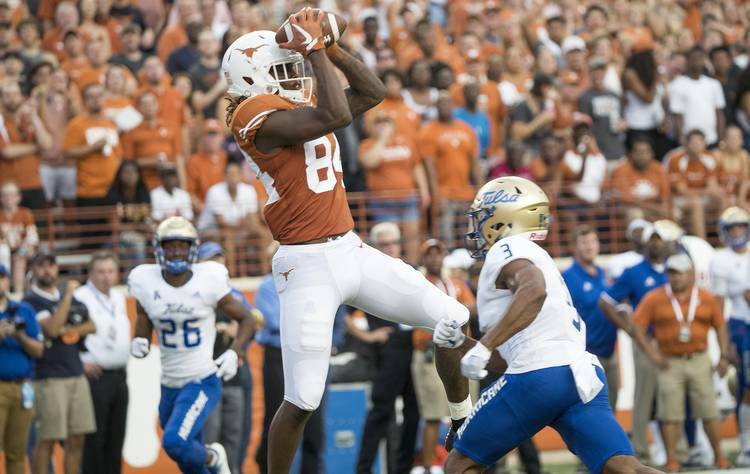 Lil’ Jordan Humphrey is emerging as a primary weapon in the Texas offense. The sophomore wide receiver showed his skill set in scoring a 40-yard touchdown during the second quarter against Tulsa. After hauling in a pass from Sam Ehlinger, Humphrey broke a pair of tackles along the sideline to widen Texas’ lead to 21-0. Humphrey also had a highlight grab on the Longhorns’ opening drive to set up a touchdown. After his second-quarter touchdown, he had four catches for 90 yards.